Marka Racing tires were entirely designed, developed and manufactured in Italy and tested by the high level drivers around the world. 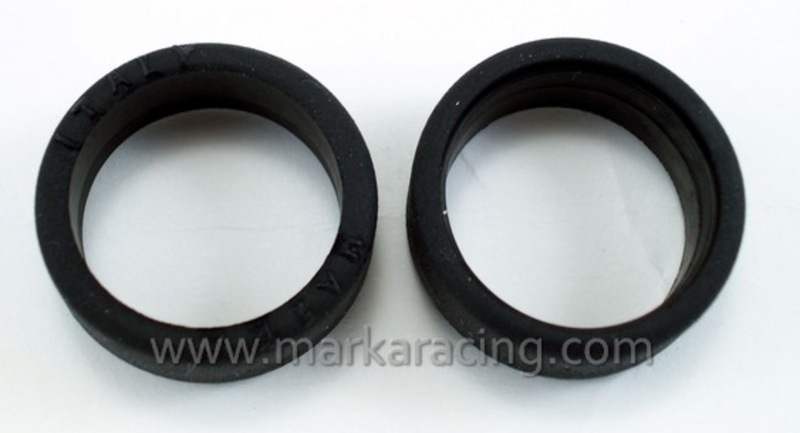 Marka Racing tires for Mini-Z are designed to offer the maximum performance on the RCP / Kyosho tracks and can also be used on other surfaces. Marka Racing tires have a lower degraded performance than other tires on the market today, ensuring stable performance in each round. The compound of the material garantees the homogenity between different batches produced at different times. They are produced entirely in rubber, free of silicone, urethane, and ethyl carbamate. - Council Directive 67/548 / EEC of 27 June 1967 including the Commission Directive 2001/59 / EEC of 6 August 2001.